A truly scenic getaway, Golden Cap is a welcoming park on the Jurassic Coast, just 150 yards from Seatown Beach and surrounded by 2,000 acres of National Trust land. Nestle in a quiet valley by the River Winniford, Golden Cap is the perfect location for a relaxing holiday involving walking, exploring and dining out. The park is ideally situated for walking the Jurassic Coast and the perfect base for exploring the unspoiled Dorset countryside. The path winds right past the park entrance and if you’re feeling active, you can take a walk to the top of Golden Cap, the highest cliff on the south coast of England with incredible views across Lyme Bay. On the park, you will find a small shop and pizza takeaway, a children’s play area and a fishing lake. The village of Chideock, walking distance from the park, has 2 village pubs and a bus stop. Take the “Jurassic Coaster” bus on a day out to a choice of coastal towns. Head west and visit the seaside village of Charmouth with its Heritage Coast Centre and fossil-strewn beach, or Lyme Regis with its ‘Cobb’ harbor wall, a sandy beach, a choice of eateries and a range of activities. 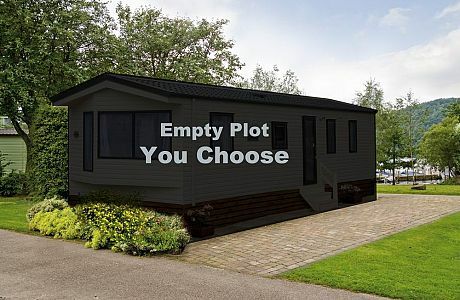 There are new and pre-owned Caravan Holiday Homes for sale and new Lodge Holiday Homes for sale, all with a 9 month season. Please call, email or drop in to talk to the team at Surf Bay Leisure to arrange a visit to the park or for further sales information. Choice of pitches available at Golden Cap Holiday Park. Demonstration models available, pitches with sea and country views available and lodge plots for Atlas twin units.